The modalities utilized by Naturopathic Doctors as well as medicines prescribed have been validated by international research and clinical studies. Botanical medicine is made from the roots, shoots, leaves, flowers and oils of plants for their remarkable healing and nutritional benefits, and is the foundation of modern pharmaceutical drugs. This natural treatment comes in the form of teas, tinctures, capsules and creams to support and repair the body. 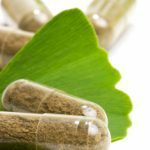 Naturopathic Doctors have the education with which to prescribe botanical medicine that will not interact with pharmaceutical drugs that a patient may already be taking. Homeopathic medicine is a natural system of healing that has been used for over 200 years. It is derived from very small doses of the preparation of plants, animals, and minerals. 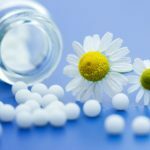 Homeopathy is based on the principle that “like cures like” and can stimulate self-healing on the physical and emotional level. One type of homeopathic medicine is prescribed after an extensive intake based on specific symptoms in order to re-establish health. “Constitutional Homeopathy” is the use of a single remedy in a high potency that is prescribed after an extensive intake based on specific symptoms in order to re-establish health. Homeopathy may also be prescribed in a liquid form which is made of several different remedies. The mind and the body together are responsible for chronic disease states. It is common that emotional issues manifest as physical symptoms. Many different types of stressors weaken the immune system and lead to inflammation in the body. For example, stomach ulcers and heart palpitations are linked to anxiety and stress. Homeopathic medicine made from a combination of different remedies in a liquid form is given as treatment to help relax the nervous system and calm the stress response. Asian Medicine is a complete medical system that has diagnosed, treated and prevented illness for over 2500 years. It consists of TCM diagnosis, acupuncture, cupping, Asian herbal medicine and diet. There is a general view that all things contains Yin and Yang. It is this harmony of Yin and Yang that is optimal health, where as disease occurs when there is disharmony between them. Illness is understood as a consequence of either a depletion or congestion of Qi. Insufficiency of Qi leads to fatigue, poor immunity, slow digestion and inadequate blood flow, where as excess Qi results in pain, distension, irritability and swelling. The goal of treatment is to adjust the Yin and Yang by regulating Qi. Weak organs are tonified, congested channels are opened, excess is dispersed, agitation is calmed and heat is cooled. Acupuncture is based on the premise that Qi flows through every organ via different channels or meridians in the body. Needles are inserted at specific points in order to adjust the circulation of Qi. Treatments encourage the natural healing process by rebalancing the physical, mental and emotional disharmonies within the body. Acupuncture is commonly used to treat pain in arthritis and headaches, but it is also very beneficial for treating fertility and hormonal imbalances, skin conditions, anxiety and depression. The therapeutic use of food and nutraceuticals (vitamins and minerals) to treat as well as prevent illness. Clinical nutrition encompasses dietary consultation including nutritional intake and individualized detoxification. Specific dietary recommendations and supplements are prescribed to help eliminate nutritional deficiencies, improve overall energy and prevent disease. Knowledge on which supplements are best absorbed and are the highest quality are taught to each patient as an integral tool to empower individuals in their goal of optimal health. Digestion is key to many conditions and our food intake reflects our internal health. By identifying and adjusting bad habits that may be contributing to your health conditions and following healthy living, you will bring your body back into balance so you can live a long and happy life! It is common for people to have an altered response to something in the air, a specific food, or even certain smells. This is an automatic response by the immune system, intended for your body to alert you to an unpleasant invader, usually referred to as a sensitivity or intolerance. These sensitivities can manifest as gastrointestinal complaints (stomach ache, cramps, bloating, constipation, diarrhea), Headaches, Skin rashes (eczema, acne), Asthma, Sinusitis, Depression and Anxiety, ADD, Insomnia, Joint and Muscle pain, and Difficulty Losing Weight. Through an in-depth diet examination as well as specified blood testing, hidden food sensitivities can be uncovered. Natural and energetic medicine to stimulate self-healing on the physical and emotional levels, by supporting the innate healing power of the body, as well as aiding the elimination of toxins at a cellular level. When the natural routes of elimination are blocked or inadequate, or detoxification happens too quickly, the action of a single high potency remedy will result in an aggravation. In the early 1900’s homeopaths came up with Drainage as an answer. To encourage the body towards homeostasis. To address the underlying cause of disease, not just the symptoms. To encourage physiological equilibrium and self-regulation. To be powerful yet gentle healing. To return the patient to their true natural state of health and vitality. To restore health to the body in a long-lasting and effective way. The body has the potential to naturally eliminate toxins – depending on the body’s toxic load. Biotherapeutic Drainage™ is the most long lasting and effective way of restoring health to the body as it works at an intracellular and extracellular level, facilitating the emunctories to remove blockages while respecting natural physiology. Primary emunctories include: the liver, kidney, stomach, intestines and lungs. Secondary emunctories include the skin and mucous membranes. Opening the emunctories to discharge toxins helps to support physiological functions, encouraging the body towards homeostasis. Hence, physiology will prevail over pathology. Detoxification has the potential to “push” the body, working towards the upper limits of elimination capacity in order to remove blockages. Biotherapeutic Drainage™ works in a “gentle” manner, working at an intracellular and extracellular level within the normal parameters of elimination capacity. In addition to being a Doctor of Naturopathic Medicine, Dr. Hornyak also has a Degree in Psychology. Using her extensive educational background, she utilizes counseling as one of her treatment modalities. Recalling one’s dreams can be an important link between your conscious and subconscious self, which can give clues to how your body can heal itself. Mental attitudes and emotions are important elements in overall health and a dream can provide you with insight into new ways of thinking and feeling. Everyone can benefit from counseling, but emotional support is quite beneficial with patients dealing with anxiety, depression, work-related stress, relationship issues, life transitions and chronic disease. Ascorbic acid (ascorbate) Vitamin C.
Blood Group – ABO and RhD. Human Chorionic Gonadotropin – pregnancy test. Indican – indicator of intestinal toxemia and overgrowth of anaerobic bacteria..
Koenigsberg – adrenal stress test. Tests are still not covered by OHIP, although there is a subset of public health tests that N.D.’s may be able to order free of charge for patients in the near future. Common blood tests analyzed include red blood cells, white blood cells, platelets, blood sugar, cholesterol, Vitamin/Mineral status (iron, Vitamin B12, magnesium, Vitamin D levels), organ panels (liver, kidney, thyroid) and hormone panels (estrogen, progesterone, testosterone, DHEA). Urine is tested for bacteria, blood, glucose, protein, ascorbic acid and kidney function. Additional testing is done for pH, food intolerances, environmental sensitivities, heavy metals, and parasites. Naturopathic Doctors have not had prescribing rights in the past. Under the RHPA, since July 1st, 2015, N.D.’s have access to certain prescription substances after taking and passing the Prescribing Therapeutics Exam, which is on par with all other licensing exams that must be passed by N.D.’s in order to practice naturopathic medicine in Ontario. Naturopathic Doctors now have access to intramuscular injections, higher doses of vitamins like vitamin D (>1000 IU), vitamin A (>10,000 IU) and folic acid (>1mg), as well as thyroid hormone, bio-identical hormones, and some restricted herbs (list of restricted drugs and substances). If tests or diagnoses indicate the need for more specialized medical attention, Dr. Hornyak can refer you to another medical practitioner in order to expand your circle of care. Communication among all of the RHPA regulated professionals is for the best interest of your health.